Soft granules designed for LPS corals and 100% certified organic! 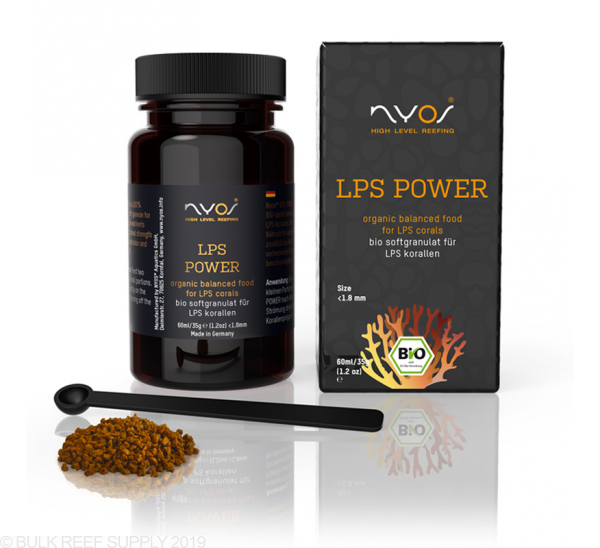 Easily spot feed your LPS and other large mouthed corals with Nyos LPS Power food. The small 1.2 - 1.8 millimeter pellets are soft can be easily digested unlocking the beneficial nutrients within each granule. Meeting strict EC ecological regulations, LPS Power is made with organic ingredients that are free of colorants, pesticides, and other genetic technology. 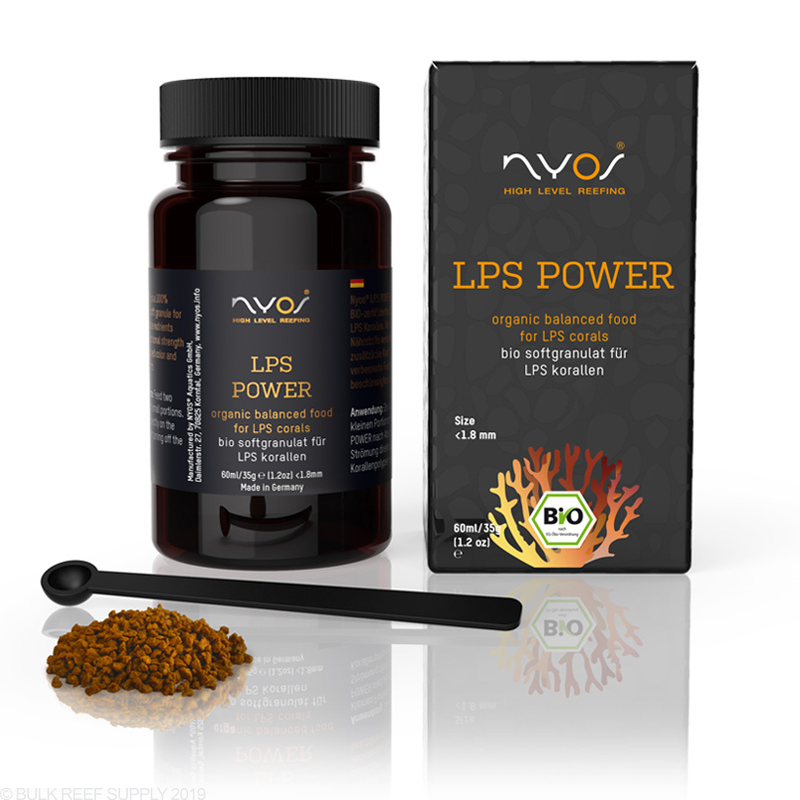 Using Nyos LPS Power will help increase your coral's vitality leading to greater coloration and growth. Perfect for acans, duncans, scolymias, and more. Feeding Directions: Up to two times a week place granules directly on the coral's polyps after turning off all flow in the aquarium. The process can be repeated once for each coral. Ingredients: Fish meal, glycerin, soja cake, wheat, vitamin E, zinc, vitamin A, vitamin D.
My Dendros, Duncans, Elegance and even Bubble Tips will gobble it up. Some times my acan corals will eat it. My trumpet and duncan coral love the stuff, my acans and euphyllia spit it out. Wouldn't recommend for hammers or torches.